Rocky shore ecologist Bruce Menge doing field work with student Elizabeth Cerny-Chipman. The 10th annual Sharing the Coast Conference returns to Newport this weekend, bringing a cornucopia of coastal science, natural history, shoreline monitoring and environmental stewardship to the Hatfield Marine Science Center. As in past years, Sharing the Coast is a joint effort by the CoastWatch program of the Oregon Shores Conservation Coalition and the Northwest Aquatic and Marine Educators. All activities on the schedule, including lectures, field trips, workshops and a Saturday evening party, are open to the public and would be of interest to anyone fascinated by coastal natural history and wishing to learn more about how to protect shoreline resources. The conference is also designed as a way to learn more about monitoring the shore as a CoastWatch volunteer, participating in citizen science projects and educating others about the shoreline and marine environment, whether as a teacher or field interpreter. The conference kicks off at 7 pm this Friday, March 8, with a Community Talk titled “All About Sand.” Veteran marine educator and ecotour leader Marty Giles will take the audience on a virtual tour of the Oregon Coast’s sandy shores, explaining where sand comes from, what it does while it is on the beach or dune, what lives within it and where it goes. On Saturday, March 9, the conference will kick into high gear, with a full slate of presentations starting at 9 am. Marine ecologist Cynthia Trowbridge will present “The Ecology of the Driftline,” exploring all the natural materials that wash up on shore and what they tell us about marine life. Renowned rocky shore ecologist Bruce Menge will speak about rocky shore ecology, climate change and the fate of sea stars. Environmental scientist Dorothy Horn will discuss plastics in the ocean, with an emphasis on microplastics and how they affect the coast. Avian researcher Jessica Porquez will talk about Oregon’s seabird populations and the research being conducted on them, helping to explain the lives and origins of the beached birds that appear along the Oregon Coast. Behavioral ecologist Catherine de Rivera will give a presentation on invasive species of the estuaries and how to watch for them on the outer shore. Jim Rice, head of the Oregon Marine Mammal Stranding Network, will talk about the marine mammals and sea turtles that wash up on the Oregon Coast and how to report on them. The day will wrap up with a panel discussion on citizen science. The Northwest Aquatic and Marine Educators group is organizing a parallel set of activities aimed at educators, with presentations on such topics as making art from plastic debris, edible seaweeds, and making marine science relevant to learners. On Saturday evening, the conference’s after-party will be combined with a wrap-up party for the recently concluded King Tide Project, which saw volunteer photographers document the reach of the winter’s highest tides. The party, which is free and open to all, starts at 5:30 pm at Rogue Brewer’s on the Bay brewery in South Beach. Guests will get to enjoy food and drink, a display of photos providing a virtual tour of the Coquille River Valley during a king tide by photographer Rena Olson, and a talk on how sea level rise is affecting the coast by Meg Reed, coastal shores specialist with the state’s Department of Land Conservation and Development. Sunday, March 10, will be given over to field trips. An estuary walk guided by marine educator Athena Crichton will leave from the Hatfield Visitor Center at 10 am. 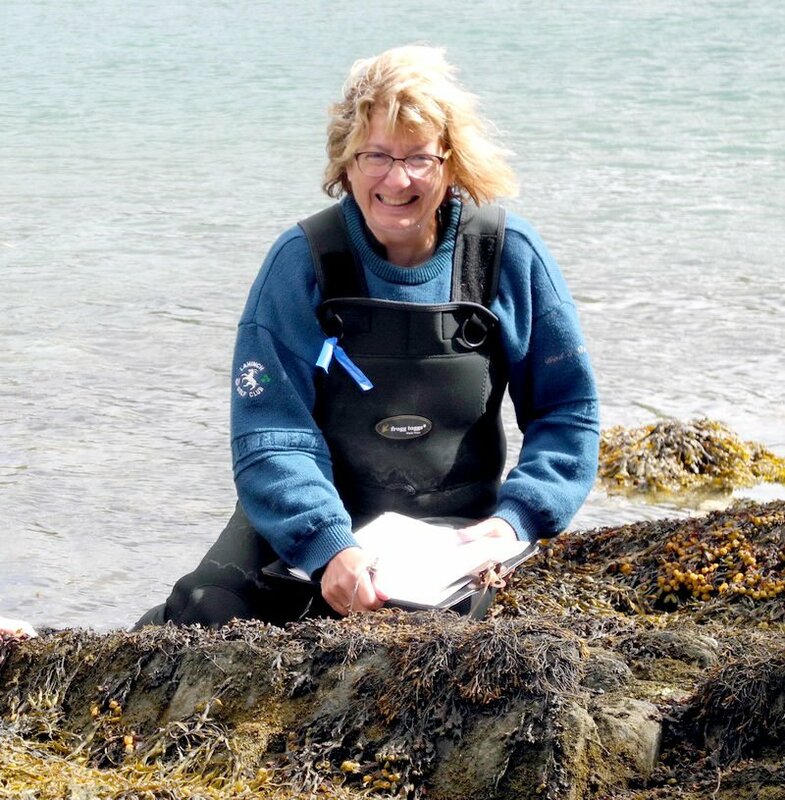 Also at 10 am, CoastWatch Volunteer Coordinator Fawn Custer will lead a field trip to the shoreline at Otter Rock Marine Reserve, during which she will discuss CoastWatch monitoring and citizen science projects. For more details about the conference or the CoastWatch program, go to https://oregonshores.org/coastwatch. Conference fees vary, depending on membership of Oregon Shores, CoastWatch, NAME or general public, with student and other categories as well. To register in advance, go to https://tinyurl.com/https-SharingtheCoast2019. Guests can also register on the day of the conference. For more information, contact Fawn Custer at 541-270-0027 or fawn@oregonshores.org.